The Northern Trust will consider the future of sheltered housing at Lisgarel care home, which was omitted from consultation proposals. There are currently 10 chalet-type dwellings on the Lisgarel site, which offer sheltered housing to elderly residents and people with learning disabilities. When questioned by the Times over the long-term future of the site, he continued: “No changes are planned at present but obviously with the passage of time, consideration will have to be given to the longer term future of the current accommodation. “Currently nine of the 10 chalets are occupied. There has been no decision taken not to admit to the chalets, however the standard of accommodation is below that of modern supported living. On May 19, the Health and Social Care Board (HSCB) approved a public consultation on the Northern Trust’s proposals that Lisgarel care home should remain open and that a ban on admissions be lifted. 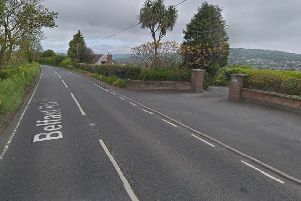 When asked why the sheltered accommodation at Lisgarel had not been included in the consultation, the spokesperson responded: “The chalet accommodation on the site does not fall within the definition of ‘statutory residential home’ and was not therefore considered when the Trust’s proposals were made to the Health and Social Care Board. The trust describes the sheltered housing at the site, for which it says tenants pay “minimal rent,” as being equipped with “minimal services.” Only three of the chalets have bathrooms or a shower, with other tenants being forced to share those facilities. However, the Northern Trust says that it has no plans to upgrade the facilities at the site. “The Trust has no plans to develop the chalets in Lisgarel to the level of specification of a supported living scheme,” said the spokesperson.